What advice do you have for students who are intimidated by difficult poses? 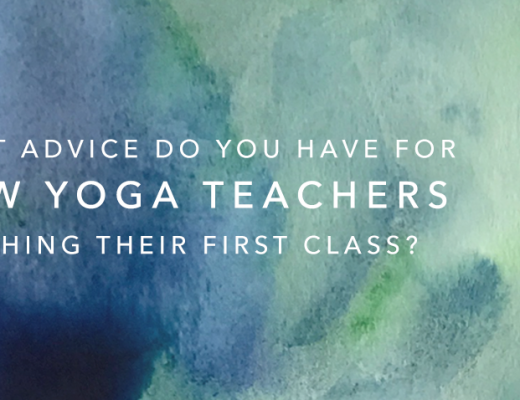 Many yoga students (beginners & long-time yoga practitioners) are intimidated by “difficult” poses and feel inferior about not being able to do them – what insight/advice do you have for students who feel this way? Elena Brower: Do what you can, go where you can go, and breathe THERE. That’s advanced practice. Kathryn Budig: That there is a support group for that:) Everything is as difficult as you think it is. Drop your ego because it will just get you into trouble and/or depress you. All difficult poses take work and time so be willing to dedicate yourself to both. Just recognize that balancing handstand in the middle of the room won’t make you a better person. Tiffany Cruikshank: If you’re interested in doing more advanced poses you have to first understand whats happening in the post/how to do it then you have to follow the steps to get there. Each pose has a series of steps to get there and you have to be patient enough to just stay with it where ever you’re at. When you’re able to be patent enough with yourself to just surrender to the process then when you’re ready the pose will come and the understanding and patience it required along the way will help you get past the mental roadblocks like fear and doubt as well. When we allow ourselves to be immersed in the process we find the patience we need to get stronger so that the effortlessness follows. It’s the same in our lives. When we patiently stand for what we believe, the journey unveils itself and the freedom comes. Steven Espinosa: It all depends on the individual. I think the most basic poses can be incredibly challenging sometimes. But if “difficult” means advanced asanas then my advise would be this: Put Safety First. I know that may sound like a wimpy answer. But I cannot tell you how many times I have injured myself trying an advanced posture just because everyone else was doing it. We are all at different stages in our yoga practice. Enjoy where you are at and let your body and your heart guide you and tell you when the time is right to try a more difficult pose. Marc Holzman: A pose is just that … a pose. It’s rather innocent, but we imbue it with so much power. Poor little pose!! What we project onto it, however, is what needs to be investigated. A one-arm handstand is no different than any other situation out of the yoga studio that gives us an inferiority complex. Don’t blame the pose ~ meet it with gentleness and play. It’s not the enemy. Dance with it. Laugh at it. Let it go. Amy Ippoliti: Advanced poses require ALL of YOU. You must have stamina (be “in shape” enough to hold the pose), the proper flexibility and even emotional and mental state to achieve difficult poses. I’ve learned, through tears and melancholy that feeling inferior when I could not get a pose is essentially a waste of time! Instead of being hard on yourself, if you want the pose that badly, be patient as you systematically strengthen the areas needed to reach the pose over time. Perhaps simply attempting the pose regularly in your practice gets you there. It could be that changing your belief about yourself or telling a different story about your physical ability is what gets you there. Perhaps lifting weights or doing squats (gasp!) helps you get there! Perhaps you’ll never get there, but the process of trying teaches you about yourself – how cool is that? And hey – you can always do difficult poses in your dream world. Have you every tried it? It’s like the real thing! If all else fails have a sense of humor and laugh at it all. 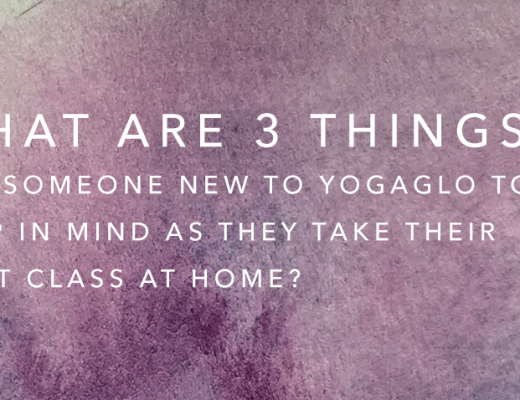 Tara Judelle: You will hear yoga teachers say this so often that it may cease to make an impact. The poses are just metaphors that exist to sustain your body and to teach cultivate discipline. The real yoga, is not about difficult asanas. Asana evolved out of a desire for a deeper experience of the Self. In a previous career, I wrote and directed an independent feature film. It took 5 years. During filming the set burned down, I lost a lot of people’s money. That was a hard pose. The poses, and how we respond to them are great teachers for enduring life’s hardships. So it’s not about the pose, the pose is just a destination point. I feel intimidated by Felix Baumgarten’s jump from 27 miles above earth. I don’t know if I will ever do that- but I can see it is a matter of wanting it. And in some ways, who cares about the difficult poses. 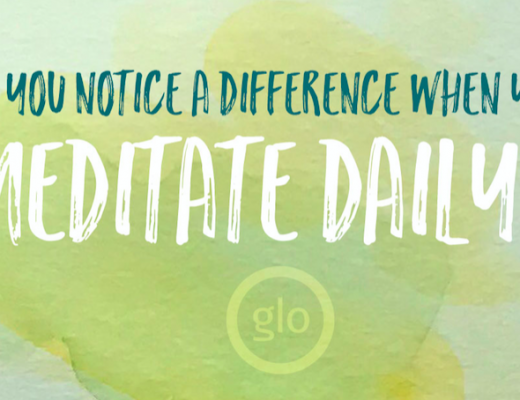 The biggest practice is deciding either, A) I want this and I will do everything possible to achieve it or B) I admire that someone can do that, and I choose to practice breathing through where I am at. Both are high yoga. Christina Sell: Well, first of all, we have to have the right attitude to deal with this phenomenon. Yoga has an amazing capacity to teach us through the energy of opposition and the path of direct experience. For instance, how will we learn patience if we never get stuck in a traffic jam? How will we learn confidence if we never overcome insecurity? How will we learn courage if we are never afraid? And in the case of feeling inferior about our abilities in asana, how will we ever learn how to accept ourselves unconditionally if we never work through our own self-criticisms, self-judgements and feelings of inferiority? If you find this kind of negative self-talk surfacing while you practice, the first thing to tell yourself is that it is a self-love learning opportunity, not a mistake or a shortcoming that you feel this way. Negative comparison is very normal so you do not need to beat yourself up when you notice you are in that pattern. That is first. Accept the fact you are in a negative pattern AND be nice to yourself about it. However, just because something is normal does not mean it is comfortable or enjoyable so shifting the pattern can happen when we befriend ourselves in the moment rather than add fuel to the negative fire. And the truth is that while teachers and friends can help us turn this negativity around, no one can actually do it for us. Just like we have to do the asana ourselves to get stronger and more flexible, we have to assert our deeper understandings in the face of our negative patterns and challenges. Intellectually, we all know that we can only do what we can do and that yoga is about more than being flexible or strong. I think most intelligent adults also know that physical prowess is not the same thing as spiritual depth. I say this because even though most of us know these things intellectually, it is easy to get “hooked” into negative thinking and feeling even when we know better. For me, the whole practice is about seeing those negative thoughts and feelings for what they are and intervening on my own behalf. It sounds a little corny but I have a lot of imaginary conversations and pep talks with myself that go like this: “You are doing great” and “All yoga asks you to do is your best” or “Yoga is an inside job” and so on. It is not a magic pill and I suppose that is my point, there is no easy way through the things that are hard. Self-love and self-acceptance takes practice just like all those advanced yoga postures and all we can do is our best. Stephanie Snyder: The only beginner or advanced aspect of the practice that matters is attitude. Attitudes of competition, aggression, grasping, etc are all considered beginner (immature) attitudes. So the shape of the pose, the level of the variation of the pose is totally irrelevant. You will know when you are advancing in your practice when you can offer a good honest effort and accept with gratitude whatever comes from that. Its a relief to practice this way and it is when real progress begins to occur. Jo Tastula: I think it’s completely natural for beginners to be intimidated by difficult postures. Difficult postures are not for everyone, and take a lot of dedicated practice hours to develop the skill set to do them safely. In actuality, all postures need to be approached with reverence, and there is a responsibility of the practitioner that the pose serve the yogi and not the other way around. Harshada Wagner: Remember Patanjali’s yama ASTEYA: non-stealing. Some asanas are not yours to take. Some will be one day, some others will never be. Also, ask any advanced practitioner or teacher who is older than 50 about it.